We don’t quit until the problem is solved. At Faircloth Machine Shop, we realize that we don’t just provide parts, but instead offer solutions to problems, often vexing ones. We’re different because we want to know what’s troubling you and will offer products and services tailored to your business and your situation; we don’t expect you to change to suit us. Because of our compact organization, state-of-the-art equipment, and skilled workforce, we give you the rapid response and creative solutions that you need. We aren’t satisfied unless you are delighted with your experience. If you need it fixed, designed, or made please give us a chance to serve you. You’ll be glad you did. If it’s broken, we’ll fix it. Quickly. We know that down time is expensive. We’ll get you back up and running in a hurry. If it exists, but is unavailable to you because of obsolescence or a prohibitive price, we’ll reverse engineer it from a part or a drawing and manufacture it quicker, cheaper, and better. If it exists, but only as an idea, we’ll help you get it out of your head and into reality. 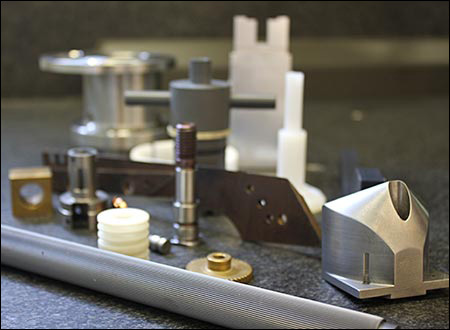 We can evaluate your idea, provide engineering specifics, and manufacture it for a price surprisingly lower than what you’d expect. We love a challenge. Have you been told that it can’t be done? Let us give you a second opinion. 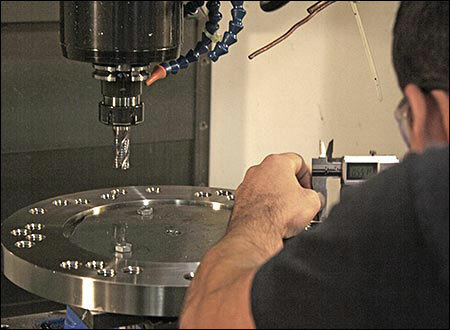 Our shop employs only skilled machinists. As a result you’ll find that old-school machinist know-how is still alive at Faircloth Machine. Even if you can’t imagine how something could be fixed, there is a good chance that we can do it. We have decades of experience wrestling with the most difficult repairs, and the necessary equipment and raw materials on hand to effect them. We know that the cost of downtime is astronomical and that one worn-out part can cripple a whole line, so we treat breakdowns as a priority. Maybe you want a thousand parts machined, or just one. Maybe the cost of foreign replacement parts or the difficulty and delay of dealing with an overseas or unmotivated domestic supplier is causing you trouble. If so, we may be able to help you. 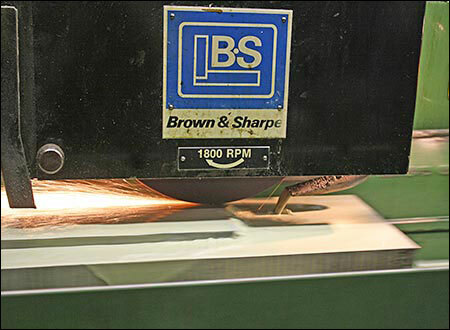 We have all the necessary modern equipment to reverse engineer, document, and produce your parts. We can work from a drawing or a part, even if it is worn out. We are happy to provide quotes, and we even offer a stocking program to keep your parts at hand and off of your inventory at the same time. We guarantee our quality to be as good or better than the OEM, so you don’t have to worry. If a particular machine or fixture doesn’t exist but you still need it, we’ve got you covered. We’ve been turning ideas into reality for over four decades. 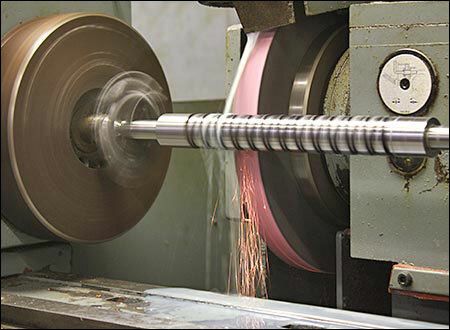 From machines that package plastic dinnerware to ones that pick up candles by their wicks, from machines that glue ribbon spools together to machines that assemble fasteners, we’ve designed and built a wide array of machinery. We can build from your drawings, work with your design, or design from your concept, and we can help you determine the feasibility of a project you’re considering.